The idea of making your own pre-workout supplement can appear difficult for the gym-goers. You might be in a position where you do not know how to make your own pre-workout supplements. Instead of making your own pre-workout supplement, you would prefer buying supplements from the supermarkets. They are ready made and all you need to do is to consume it. Anyway, who does not love ready to consume products? They will save you the energy and time so that you can concentrate on other activities. However, what you do not know is that most of those pre-workout supplements you buy do not have nutrients in the right proportion and they usually come with a high price. In this road of fitness, you need to find a way of reducing your expenses and getting the best results. 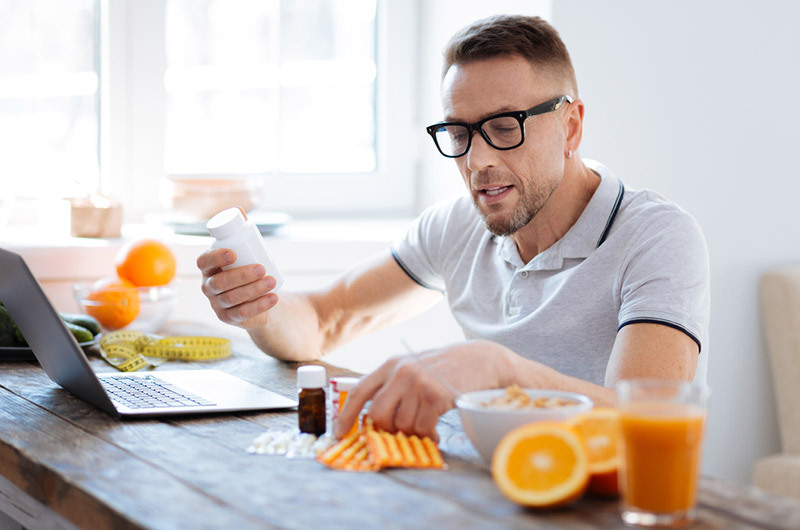 Learning how to make your own pre-workout supplements will help you save so much money and you will get all the nutrients in the right proportion. Of course, it is not such easy. Each time you google, you will find complex words for the ingredients such as ‘creatine,’ ‘citrulline’ and many other difficult words. With all these words that are difficult to pronounce, you will have challenges in getting the right way of doing it. No need to worry about, I got you, and you are in the right place. We are going to tackle all these in an easy to understand language. Caffeine is a great ingredient found in most of the commercial pre-workout supplements. Using caffeine as your pre-workout drink will help you to remain focused throughout your training. You will feel more energetic, and you will be able to push yourself further when carrying out your training. Some people prefer the use of stimulants as their pre work out drinks while some do not. It all depends on your preferences. If you begin feeling sleepy after taking a stimulant, then avoid it altogether. Caffeine can also reduce muscle fatigue and increase the burning of fat within your body. Caffeine is also readily available and it can deliver desired results within the shortest time. The bad side of caffeine is that it has got some withdrawal symptoms. The moment you withdraw from the intake, you will experience some common symptoms. Just like all the other stimulants, you will experience some effects the moment you stop taking it. Effective Dosage of Caffeine: The recommended dosage of caffeine is 50-300mg before your training. In most cases when you are unsure, you can begin taking it in small amounts. Later you can increase the dosage depending on the reaction of your body. Form: You can get it by taking the appropriate tablets or you can still find it in a cup of coffee. There is not so much information on the effectiveness of citrulline malate. The available information shows that it can increase muscle endurance when working out. Studies also show that it can be used to ensure muscle recovery after work out. If you are carrying out a higher rep training or moderate with little rest, using citrulline will do you good. You will train for an extended period without getting tired. When using citrulline, you do not expect a quick boost. It is recommended you use it a few minutes before your workout. The bad side of using citrulline is that it has a higher cost even if you buy it in bulk. It can also cause some stomach discomfort. Dosing: The dosage for citrulline malate is 6-8mg before your work out. Of course, I know the dosage look so big, but that is the dosage used in the studies carried out on it. Form: It is available in the form of powder. Most of the people use fruit flavoring since its taste is sour. It is also another common ingredient found in most of the commercial supplements. The element is converted into carnosine once it gets ingested. Carnosine is later stored in the body and then released when the pH levels in your body muscles drop. The dropping of PH levels is due to the acidification of the body. When the muscles become fatigued due to the workout, carnosine will be released to reduce fatigue. Many studies are showing that the use of beta-alanine increases endurance when working out. Dosing: Using 3-6 grams before your work out is good. You can take it before you work out to get all the benefits you need. After taking beta-alanine, you will have a tingling feeling. Some people like the tingling feeling while others do not like it. If you do not like it, you can split the high dosage throughout the entire day. It can also take time for you to notice the effects once you have taken beta-alanine. Carnosine takes some time before it builds up in your body to give your endurance. You can use this ingredient to make your own pre-workout drink or supplement within a short period. Creatine is a great ingredient that has been in existence for an extended period of time. There is a lot of research available to back up the effectiveness of creatine. It can play a significant role in increasing the strength of your muscles as well as making your body muscles to grow big. Evidence also available show that it can increase strength when working out and increase the testosterone levels within your body. It can be manufactured directly in the body and its purpose is to increase the conversion of adenosine triphosphate (ATP) into energy. When seeking to buy creatine, it is important that you are aware of the ‘advanced’ creatine products. Avoid spending your money on such purchases as most of them are not effective. Instead, make it a habit of making your pre-workout supplement. Dosage: The recommended dosage of creatine monohydrate is 3-5g per day. However, as a way of increasing the saturation process, the manufacturers recommend a dosage of about 20g per day. The recommended dosage of 20g should be taken only for one week and later drop it to 5g per day. If you do not need to do the exercise in bulk, you can still stick to the 5g per day. The best way of regulating the metabolism of proteins in your body is taking the right proportions of leucine, isoleucine, and valine. The ingredients should be in a ratio of 2:1:1. Leucine is essential in the above ratio since it is the most important since it stimulates the synthesis of proteins in your body. BCAAs are essential since they can offer protection against the catabolic environment when exercising. BCAAS can be used to make your own pre-workout drink. Once taken before training, the soreness of your muscles will be reduced. It can also be taken before the exercise, and it will make you work out faster. Dosing: When taking BCAAs, it is vital for you to make sure you have taken at least 3g in each of your dosages. Making your own pre-workout supplements is so easy after you get the above nutrients. After you have reached the high nutrients, you only need to smash them and add water to it. Drink it, and you will be ready to go for your workout. The pre-workout supplements or drinks will be best absorbed into an empty stomach. Some people prefer exercising on an empty stomach while others prefer taking a protein or carbohydrate. You can use any of them as long as it works for you. However, it is important to make sure you have not taken a heavy meal before beginning your workout. This is because it will take longer for the meal to get absorbed. Caffeine is an important stimulant when you are working out. It will give you the necessary energy to carry weights in the gym without the fear of getting tired. There is no recommended dosage for caffeine. The best way of making sure you get the right dosage is taking it frequently until you find the right dosage. Begin with 200mg and you can maintain or reduce depending on the reaction of your body. The best way of explaining this mistake is the use of the law of diminishing returns. Taking too much coffee will make you overstimulated which can hinder the effectiveness of your workout. The anxiety created when you consume high amounts of caffeine will hinder your ability to focus on your workout. Just as the name dictates, the home-made pre-workout routine should only be taken before you begin your work out. This is done to make sure it is in full effect when you begin your workout. It is also essential to make sure you have sipped water throughout your work out. Taking your supplements in the mid of your work out will hinder the effectiveness of your work out. If you are just getting started on making your own workout routine, it is important for you to focus on the above-listed ingredients. Each of the above ingredients has its own benefits to your body. If you are making your own supplement drink, make sure you pay attention to the dosing. If you want to take a blend of the above ingredients, it is also important for you to check out the proportions of the above ingredients. However, most of the manufacturers do not indicate the ratio of the ingredients. You will, therefore, be required to supplement your diet with the component which is lacking in the supplement. It will help you to reap more benefits. With all the information you have received in this article, you only need to go out and make your own pre-workout bodybuilding supplement. It will take you less time since you have all the information you need. It can also help you save some coins which you spend on the commercial supplements. You can also use other ingredients out of this recipe.